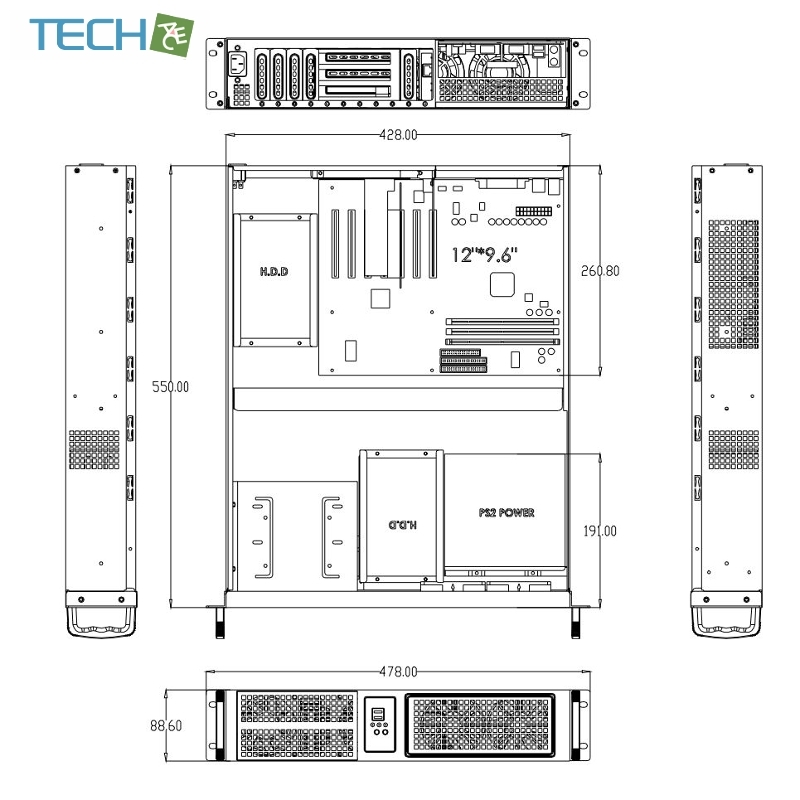 Extension cards vertically and horizontal mountable! 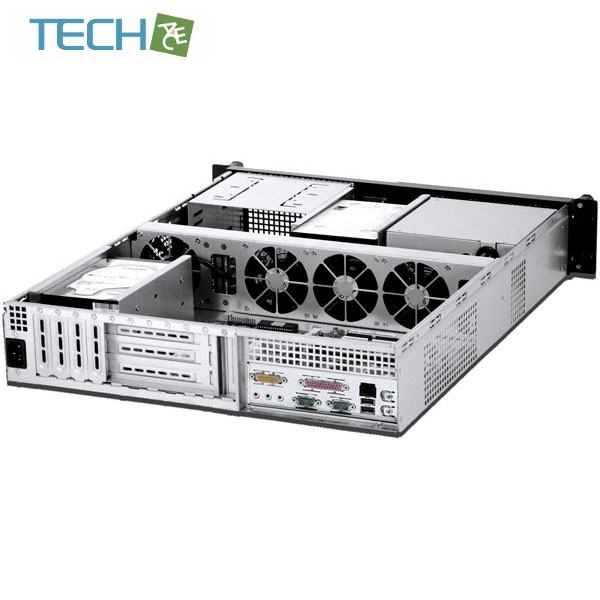 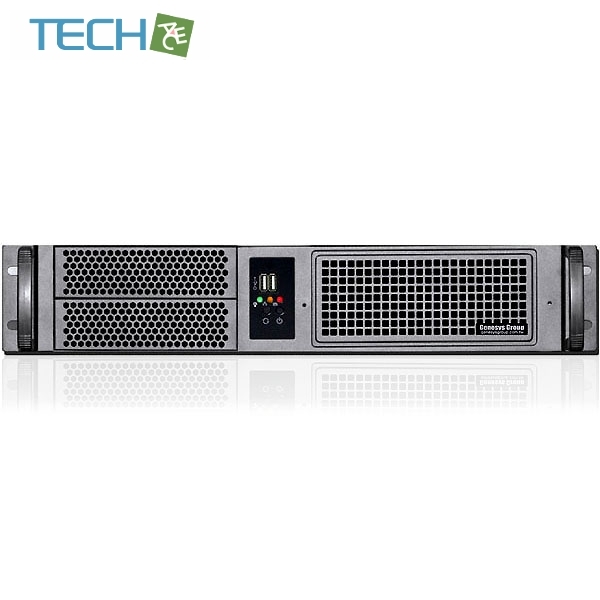 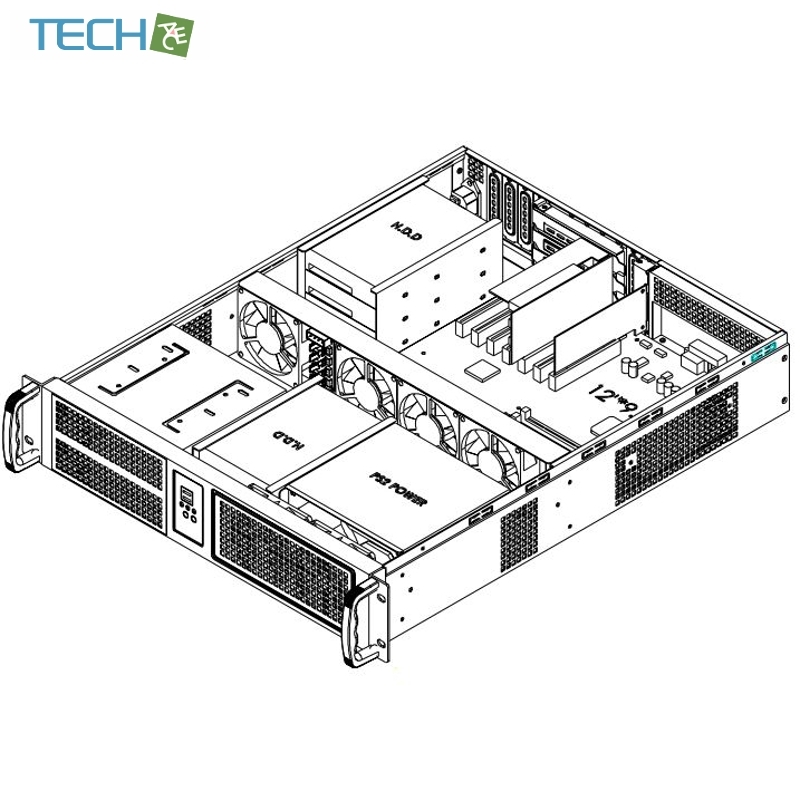 The CP-2055N is a compact 2U chassis, Cooling is essential as so many use 2U as small servers.It comes with 4x 8 cm ball bearing cooling fans that create the perfect air pressure for your hardware. 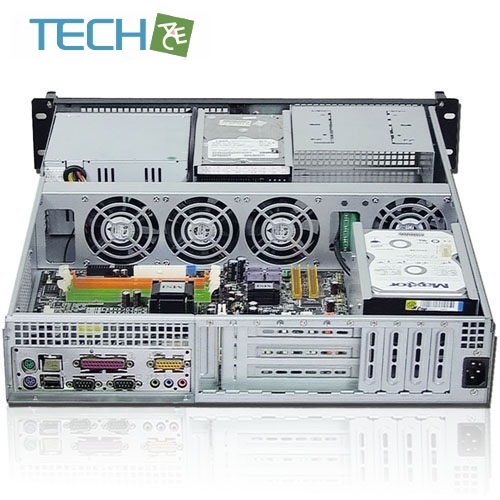 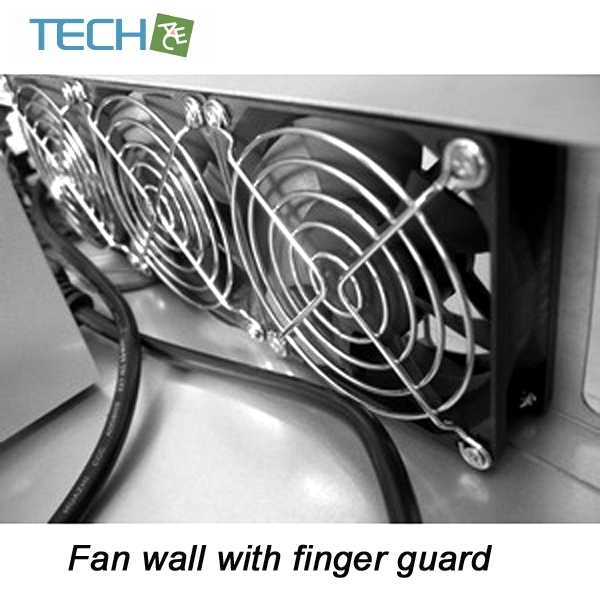 There are 2x 5.25" exposed and 6 internal 3.5" hard drive bays.The compact size, and cooling make the it as an excellent choice.The universal rear window could use Riser card or low-profile card together.